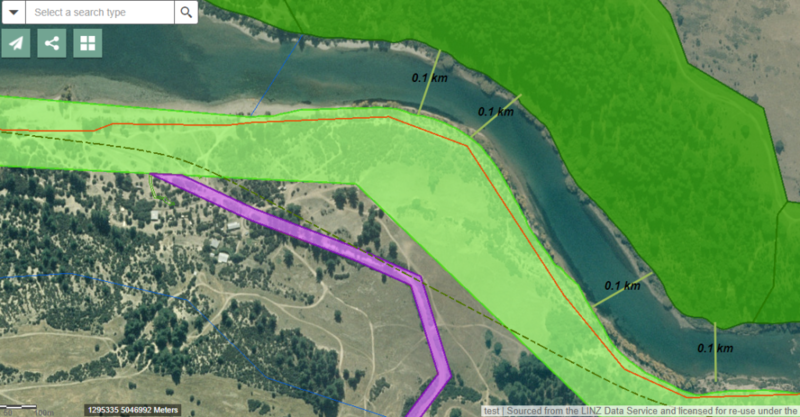 The Upper Clutha Tracks Trust is seeking public feedback on the concept of a cycle/footbridge over the Clutha River just downstream from the Outlet. This would provide a key new link in the Upper Clutha track network, giving easy access to Dublin Bay and the Deans Bank Tracks. It could also provide a great option for the Great Ride Track (National Cycleways) linking Wanaka to Cromwell. 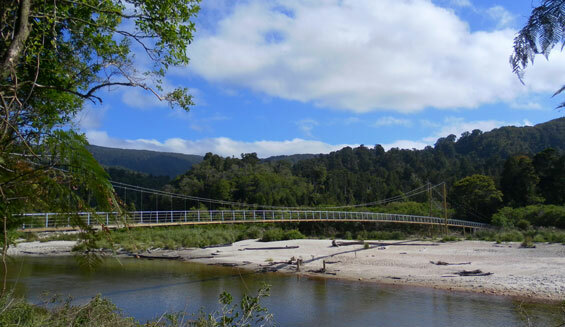 The bridge would need to be between 100 and 140 metres depending on its exact location, and would look something like this 148m bridge on the Heaphy track. Some possible bridge locations are between the Outlet and scenic photo point 8. Some possible location for the foot/cyclebridge. The bridge would provide easy access from Wanaka Township to Dublin Bay, and the tracks on the true left of the Clutha River. It would reduce the distance from the log cabin to Dublin Bay from 19km to 11.5km, cutting approx 7.5km from the journey. It would also open a quicker route to the Deans Banks mountain bike track network and create a great 7.5km loop track to Albert Town on both sides of the Clutha River. Planning is underway to link the Great Rides (National Cycleways) in Central Otago. As part of this project there will be a new Great Ride from Wanaka to Cromwell. It is anticipated that this will use the existing Upper Clutha River Track to Albert Town. The connection from Albert Town to Wanaka Township is yet to be considered. The key issues for Great Ride is that they be as scenic and “great” as possible, whilst keeping to a well defined track standard. One possible route would be from Albert Town to Wanaka on the true left of the Clutha River, and the track would cross back to the Wanaka side near the outlet. The Trust would welcome public comments and suggestions regarding this proposal. Comments can be left at the Upper Clutha Tracks Trust facebook page.